I live in Savannah, and I work downtown. Some of the streets are closed off because Disney is filming a movie here. I know what the movie is, but it's kind of a secret. Hint: it is a live-action remake of a classic Disney animated movie. 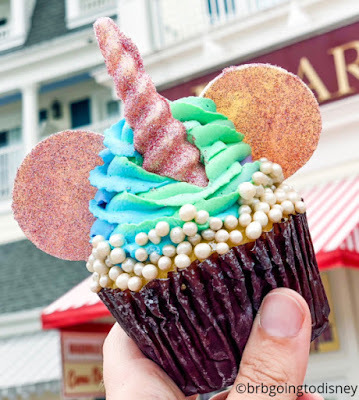 Coincidentally, I did a Google search on Disney and cupcakes, and BoardWalk Bakery at DisneyWorld makes a cupcake that is too cute. It's a glittery unicorn cupcake.